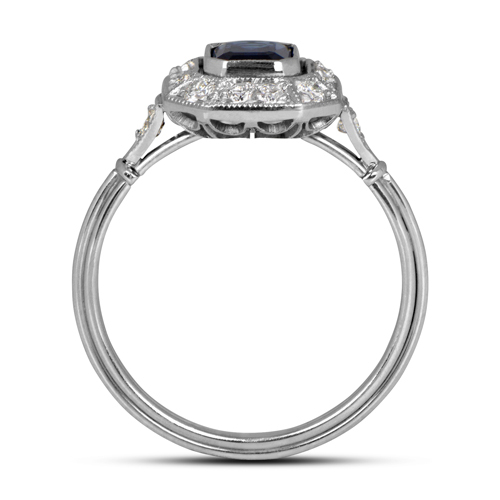 The center sapphire is bezel-set and surrounded by a halo of lively diamonds, and further adorned by an under-gallery of stunning openwork filigree. 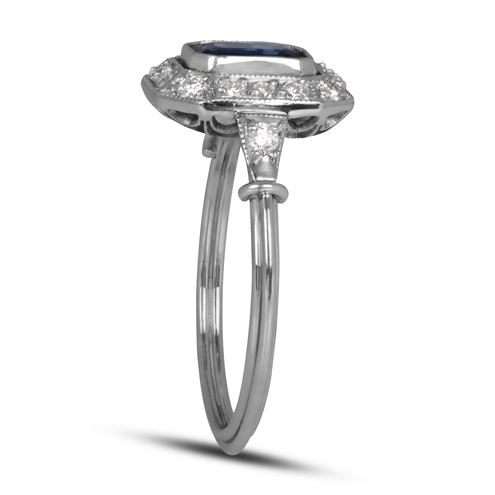 Fine milgrain and the triple-wire shank adds to the delicacy of the ring. 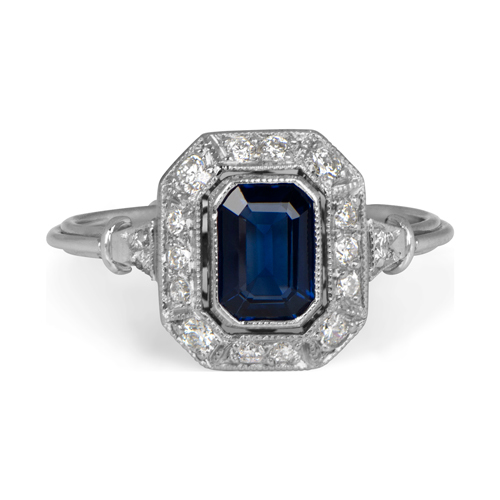 The center sapphire weighs approximately 1 carat. 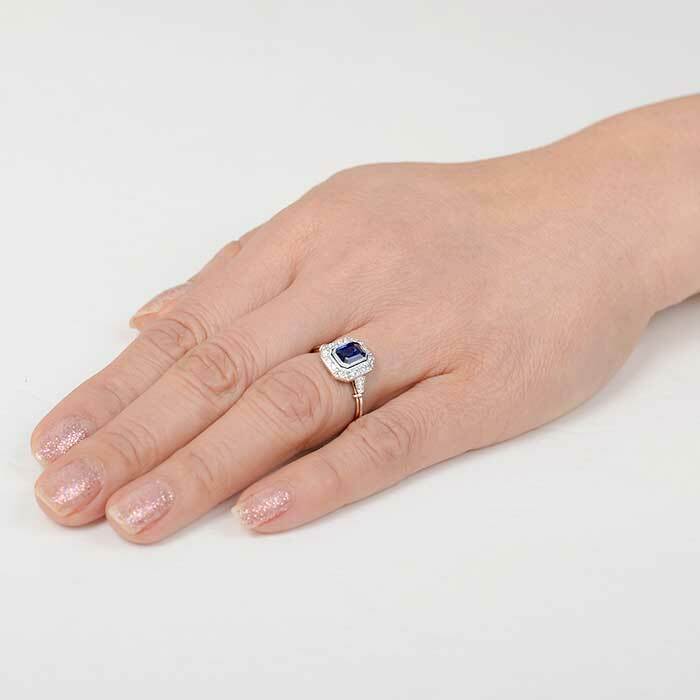 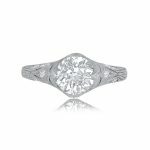 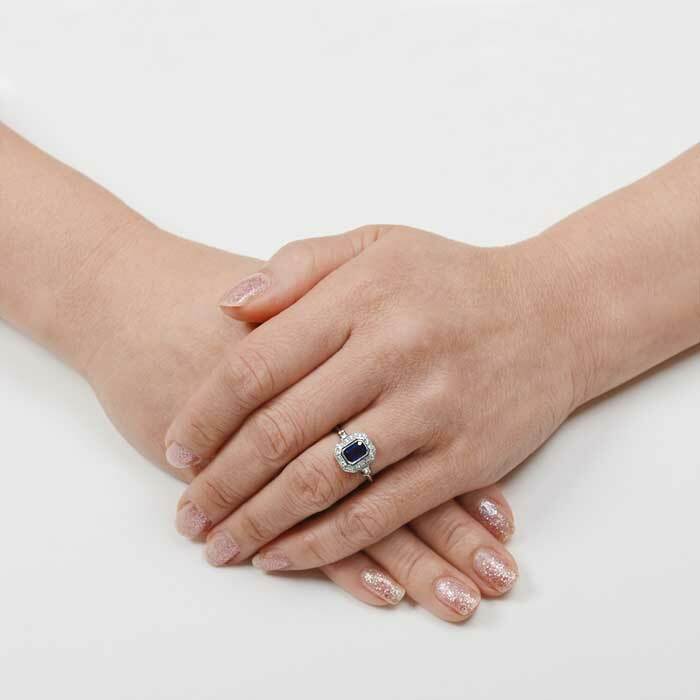 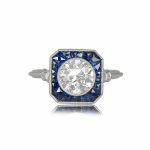 SKU: 12104 Categories: Diamond and Sapphire Engagement Rings, Sapphire Engagement Rings, Vintage Engagement Rings Tag: Elongated Engagement Rings - Contact us and request additional pictures.